I found your product on the internet. My father is older and has recently been diagnosed with cancer. He is quite weak and having trouble getting into my automobile. I was using a regular step stool but it was small and dangerous. Every step stool I found was not practical. I found your product by entering ‘senior step stool’ into the search engine hoping I could find a product that was geared to someone like my dad. Maria is not alone in her quest to help her elder parent(s) get into an automobile or SUV. 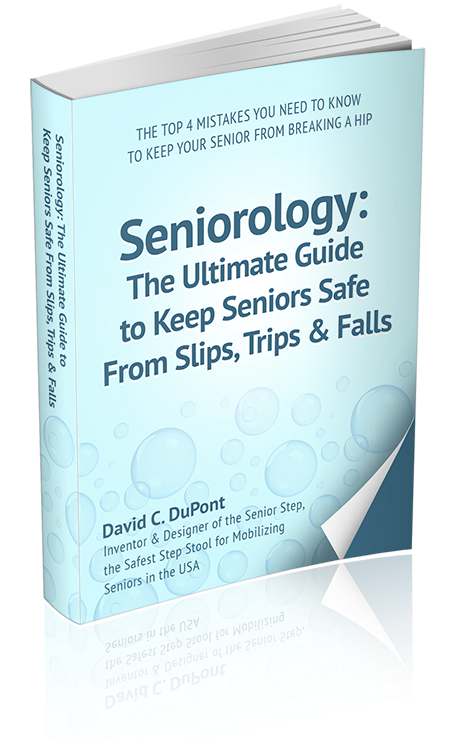 Seniors today want to be as independent as possible and most step stools that are sold in the big box stores are not made for adults with physical challenges. Unfortunately they are cheap, flimsy step stools that are dangerous to use. Maria chose the 6 inch high Senior Step for her father. This step stool was designed with the help of 4 directors of assisted living facilities, so it is made with the specific needs of an aging adult in mind. Some of the features are: Bright yellow and black so it’s easy to see. No legs; so you can’t accidentally get a foot caught under it and a very large (23” X 13”) top surface to make turning around on the step easy. You won’t find a step stool like this anywhere else.